Here you’ll find some recommendations on what we think are the best, most balanced, or cost effective PC computer builds out there. Given our unique position in the computer hardware review industry, many of the parts we recommend have been either tested by us, tested by our colleagues in the industry or thoroughly researched, and we believe they are among the best of the best. Is this your first time building? Haven’t built a custom PC for a long time? Don’t worry! 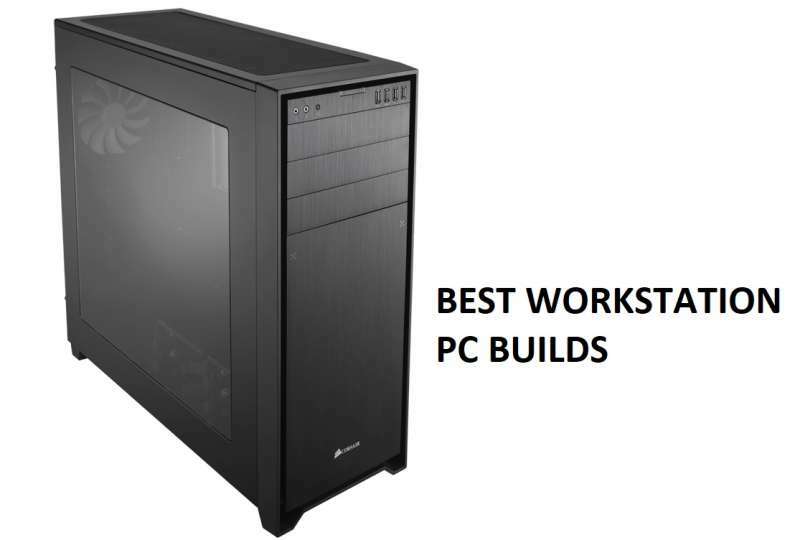 Building your first custom PC is easy! Take a look at our Build a Computer article where we provide you with some details on building a PC. We also offer some tips and tricks there to get you started as well. Additionally, join our community to get free technical support and assistance on planning or putting together your new build! Our worldwide community of computer enthusiasts are more than happy to help! Below, you’ll find a list of our best builds depending on the purpose of your new PC. These builds are regularly updated at least once or twice a month to keep up with product availability, pricing, and new technologies that become released. These PC builds are our favorite builds here at Custom PC Review. These builds are specially suited for gaming, offering the highest performance for dollar. If you’re looking for something to run the newest games out there this is where you’ll want to start. These PC builds are typically going to round out our top of the line builds. These builds are designed to be workhorses, carrying out all your video editing, photo editing, 3D graphic design, music production, etc. duties. If you’re looking for something to run Photoshop, Premiere, Vegas, Lightroom, and Pro Tools (maybe even at the same time), this is a great place to start. Of course, most workstation PCs can be doubled as gaming PCs with a video card upgrade, so many workstation pc builds may overlap gaming pc builds. For those who don’t know the build’s purpose, but want to instead just browse some PC builds, feel free to check these out. Each build is titled by purpose and price, so you’re bound to find one you’re interested in. Remember, you can always drop by our forums to make a request! We have a very helpful community of computer enthusiasts here to help you build your new dream machine! As you may notice on our site, we review a lot of computer components here at Custom PC Review, and even before we put together our builds, we still do plenty of research because there are just simply too many options out there. Each computer build is typically 9-10 parts long (not including the monitor, peripherals, etc.) and we know it’s difficult for many of you to spend the time reading up reviews on each of these products. Moreover, many of the computer enthusiast sites are aimed mainly at computer enthusiasts, and even after reading some of the reviews, it’s sometimes just simply too technical. This is why we’ve put together these recommended system builds. While we encourage all of you to do your own thorough research prior to purchasing, we realize that sometimes it just simply isn’t possible, which is why we’re here to help. From the staff here at Custom PC Review, we sincerely hope these builds helped you in some way, and if it did (or didn’t) we’d love to hear about it! Drop by our forums just to say hi, or if you’d like to show off your system, post up some pictures into the community rigs section. We’ve got a very helpful, very friendly community of computer newbies and veterans alike, and we’d love to see what you came up with! Of course, we realize that not every system we recommend is fully 100% tailored to your needs and while we try our best to update the builds as often as possible, we realize that pricing/inventory fluctuates on a regular basis. As such, we encourage you to post questions on your new build in our forums prior to buying. Join us on Facebook, Twitter, Google Plus, and YouTube! Building your first PC is usually that gateway to really understanding computer hardware and computers in general. Here at Custom PC Review, we do a lot of news, reviews, articles and videos on computers and computer hardware so feel free to join us via any of the social networks above! You’ll receive regular updates via your Twitter, Facebook, Google Plus, or YouTube feed and become much more informed about the computer world, so next time you won’t have to shell out $80 for 5 minutes of time from the Geek Squad!